His birth date is debated, with various sources giving dates from 763 to 766. His surname translates to "the Just", "the Upright", or "the Rightly-Guided"; fully translated, his name means "Aaron the Just". Al-Rashid ruled from 786 to 809, during the peak of the Islamic Golden Age. His time was marked by scientific, cultural, and religious prosperity. 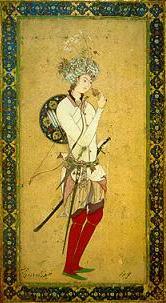 Islamic art and music also flourished significantly during his reign. He established the legendary library Bayt al-Hikma ("House of Wisdom") in Baghdad in present-day Iraq, and during his rule Baghdad began to flourish as a center of knowledge, culture and trade. During his rule, the family of Barmakids, which played a deciding role in establishing the Abbasid Caliphate, declined gradually. In 796, he moved his court and government to Raqqa in present-day Syria. Kō no Moronao , also Moronō was a Japanese samurai of the Nanboku-chō 南北朝 period who was the first to hold the position of Shitsuji (Shōgun's Deputy). He was appointed by Ashikaga Takauji, the first shōgun of the Ashikaga shogunate. As Deputy, he served not only an administrative governmental function, but also as general of the Shogun's armies. He fought for the Ashikaga against the loyalist forces of the Southern Court during the wars of the Nanboku-chō period and killed its generals Kitabatake Akiie and Kusunoki Masayuki. 1401/0324：Turco-Mongol emperor Timur sacks Damascus. The Mongols under Timur occupy the Mameluk city of Damascus, but fail with the siege of the citadel. Le comte de Flandre, futur Charles Quint, qui cherche à hériter de l'Espagne, s'allie avec François Ier afin d'obtenir son appui. Il est projeté un mariage entre Charles et la jeune Renée de France (4 ans alors) fille de Louis XII et d'Anne de Bretagne. Restitution de Boulogne à la France par les Anglais contre 400 000 écus d’or. Anne's marriage to Henry VIII was annulled, and Elizabeth was declared illegitimate. Edward's will was set aside and Mary became queen, deposing Lady Jane Grey. During Mary's reign, Elizabeth was imprisoned for nearly a year on suspicion of supporting Protestant rebels. Ii Naomasa was a general under the Sengoku period daimyō, and later shōgun, Tokugawa Ieyasu. He is regarded as one of the Four Guardians of the Tokugawa along with Honda Tadakatsu, Sakakibara Yasumasa, and Sakai Tadatsugu. He led the clan after the death of his foster mother, Ii Naotora. He married Tobai-in, Matsudaira Yasuchika's daughter and adopted daughter of Tokugawa Ieyasu. Arai Hakuseki était un fonctionnaire, universitaire, administrateur, écrivain polygraphe et homme politique japonais confucéen de la période Edo. Il fut le conseiller du shogun Ienobu Tokugawa. a self-educated English carpenter and clockmaker who invented a marine chronometer, a long-sought-after device for solving the problem of calculating longitude while at sea. His solution revolutionized navigation and greatly increased the safety of long-distance sea travel. 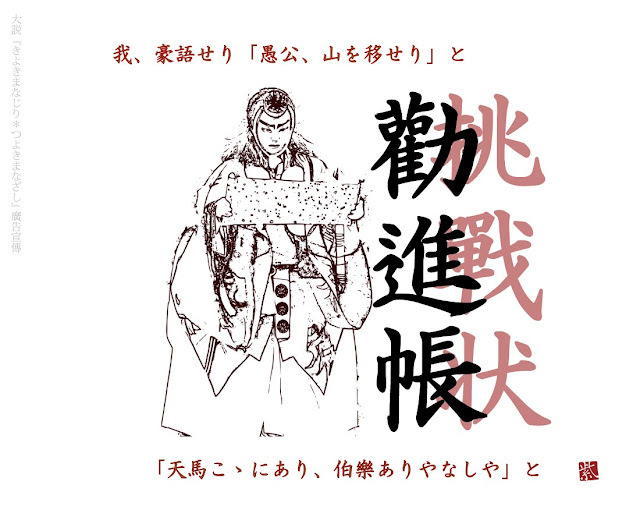 Ichikawa Danjūrō I est un ancien acteur kabuki du Japon. Il reste aujourd'hui l'un des plus célèbres de tous les acteurs kabuki et est considéré comme l'un des plus influents. Ses nombreuses influences comprennent la création du style de jeu aragoto, largement associé au kabuki d'Edo et à Danjūrō et ses successeurs de la lignée Ichikawa Danjūrō. Prussia's King Frederick II issues a Circular Order to his officials with the mission "to make understandable to those gentlemen and subjects the benefits of planting this earthy plant, and to advise them that they plant the potatoes this very spring as a very nutritious food. " Great Britain passes the Quartering Act, which requires the Thirteen Colonies to house British troops. Jacques-René Hébert et ses partisans sont victimes de leur propre appel à un resserrement du règne de la terreur dans la Révolution française. 19 d'entre eux sont exécutés à la guillotine après seulement quatre jours de procès. Joseph Smith, who founded the Church of Jesus Christ of Latter-day Saints months before, is tarred and feathered in Hiram, Ohio. English textile designer, poet, novelist, translator, and socialist activist. Associated with the British Arts and Crafts Movement, he was a major contributor to the revival of traditional British textile arts and methods of production. His literary contributions helped to establish the modern fantasy genre, while he played a significant role in propagating the early socialist movement in Britain. The Chinese chief official Lin Zexu forbids the opium trade in China by executing an imperial edict of foreigners and lets 350 merchants intern in their factories. The First Opium War is evoked by the action. Ii Naosuke was daimyō of Hikone (1850–1860) and also Tairō of the Tokugawa shogunate, Japan, a position he held from April 23, 1858, until his death on March 24, 1860. He is most famous for signing the Harris Treaty with the United States, granting access to ports for trade to American merchants and seamen and extraterritoriality to American citizens. He was also an enthusiastic and accomplished practitioner of the Japanese tea ceremony, in the Sekishūryū style, and his writings include at least two works on the tea ceremony. un banquier, militaire, historien et théoricien de la stratégie militaire, ayant fait partie de l'état-major de Napoléon, puis de celui du tsar Alexandre Ier. an Austro-Hungarian-born American illusionist and stunt performer, noted for his sensational escape acts. He first attracted notice in vaudeville in the US and then as "Harry Handcuff Houdini" on a tour of Europe, where he challenged police forces to keep him locked up. Soon he extended his repertoire to include chains, ropes slung from skyscrapers, straitjackets under water, and having to escape from and hold his breath inside a sealed milk can with water in it. Nakamura Kichiemon I est un comédien du répertoire kabuki. En 1945, il devient le plus ancien acteur kabuki encore en activité au Japon. 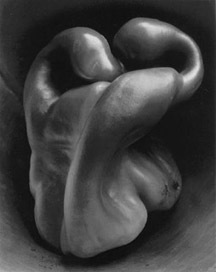 He is an American photographer and a founding member of group f / 64. His photographs are taken with a large 8 x 10 in wooden large camera (view camera). an American poet and educator whose works include "Paul Revere's Ride", The Song of Hiawatha, and Evangeline. He was also the first American to translate Dante Alighieri's Divine Comedy and was one of the five Fireside Poets from New England. Alexander Popov makes the first radio link in Morse. Mayor of New York City Robert Anderson Van Wyck breaks ground for a new underground "Rapid Transit Railroad" that would link Manhattan and Brooklyn. un écrivain français dont l'œuvre est, pour la plus grande partie, constituée de romans d'aventures utilisant les progrès scientifiques propres au XIXe siècle. an Irish playwright, poet, prose writer, travel writer and collector of folklore. He was a key figure in the Irish Literary Revival and was one of the co-founders of the Abbey Theatre. un compositor y pianista español, relacionado con la escuela de Felipe Pedrell. Es conocido por su obra pianística, especialmente por la suite Goyescas (1911), en la que basó también la ópera homónima. Chung Ling Soo（程連蘇） was the stage name of the American magician William Ellsworth Robinson who is mostly remembered today for his death after a bullet catch trick went wrong. After the outbreak of the Nanjing incident, British and U.S. warships bombarded Nanjing, China, killed more than 2,000 civilians, and the March 4th massacre occurred. an English writer and one of the so-called "angry young men" of the 1950s. He disliked the label, as did most of the other writers to whom it was applied. He is best known for his debut novel Saturday Night and Sunday Morning and early short story The Loneliness of the Long Distance Runner, both of which were adapted into films. He was called "The King of Cool", whose "anti-hero" persona developed at the height of the counterculture of the 1960s and made him a top box-office draw of the 1960s and 1970s. McQueen received an Academy Award nomination for his role in The Sand Pebbles. His other popular films include The Cincinnati Kid, The Thomas Crown Affair, Bullitt, The Getaway, and Papillon, as well as the all-star ensemble films The Magnificent Seven, The Great Escape, and The Towering Inferno. Kajii Motojirō est un écrivain japonais de l'Ère Shōwa. Kajii fut peu connu pendant sa courte vie, mais ses œuvres furent louées par Kawabata1 et sont aujourd'hui très connues et appréciées des Japonais, particulièrement les nouvelles Le Citron 檸檬, Sous les cerisiers, et Jours d'hiver (Lemon ou Remon, Sakura no ki no shita ni wa, et Fuyu no hi). Mit seiner Verkündung tritt das am Vortag beschlossene Gesetz zur Behebung der Not von Volk und Reich, das sogenannte Ermächtigungsgesetz, in Kraft. Damit können von der Reichsregierung beschlossene Reichsgesetze von der Reichsverfassung abweichen, womit diese im Zuge der nationalsozialistischen Machtergreifung de facto außer Kraft gesetzt wird. During a massacre in Rechnitz, Burgenland, about 180 Hungarian Jews who were used for forced labor were murdered by the National Socialists in a so-called final phase crime. Auguste Antoine Piccard was a Swiss physicist, inventor and explorer, known for his record-breaking helium filled balloon flights, with which he studied Earth's upper atmosphere and cosmic rays, and for his invention of the first bathyscaphe, FNRS-2, with which he made a number of unmanned dives in 1948 to explore the ocean's depths. A Vickers Viscount of Aer Lingus crashes on the 712 flight from Cork to London for unknown reasons near the island of Tuskar Rock in County Wexford into the sea, all 61 people on board are killed. The Northern Ireland Parliament is dissolved during the Northern Ireland conflict and Northern Ireland is placed under the direct control of the government in London. In Argentina, the armed forces overthrow the constitutional government of President Isabel Perón and start a 7-year dictatorial period self-styled the National Reorganization Process. Óscar Romero, Archbishop of El Salvador and Liberation Theologian, is assassinated by state death squads during a mass, marking the beginning of more than a decade of civil war. 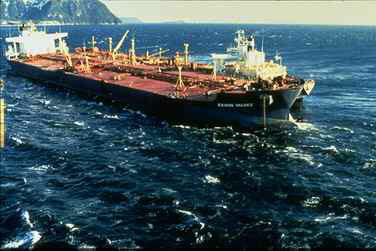 the Exxon Valdez spills 240,000 barrels (38,000 m3) of crude oil after running aground. Oil tanker Exxon Valdez runs into a reef in Prince William Sound off Alaska while alcoholic captain Joseph Hazelwood is drunk in his bunk. 40,000 tons of crude oil run out and pollute around 2,000 kilometers of coastline. Hundreds of thousands of fish, seabirds and other animals are killed in the oil spill. The long-term consequences on the ecosystem are still unclear. Comet Hyakutake grazes the land at 15,000,000 km. Kuomintang politician Lee Teng-hui, openly advancing the secession of Taiwan, is confirmed as head of state in the first direct presidential election in Taiwan, despite the Chinese people's openly threatening military maneuvers in the Taiwan Strait. In the South Atlantic the cyclone Catarina develops, which moves westwards on the coast of Brazil. It develops into one of the rare storms with a hurricane speed. 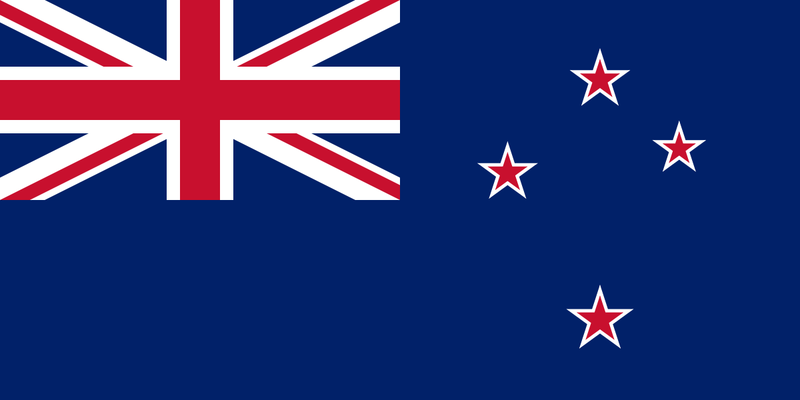 The second referendum on the future flag of New Zealand ends in New Zealand. The majority of voters are in favor of retaining the old flag.